It’s the most wonderful time of year— Christmas time in New York City. 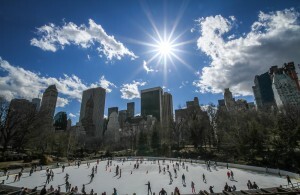 From ice skating at Wollman Ice Rink in Central Park to viewing the spectacular Rockefeller Center Christmas tree to watching the Rockettes at Radio City Music Hall, there’s no better place to spend the holidays than New York City. To help you get the most out of your celebrations, here are some of the top things to do in NYC during the holidays from Afaf Jbara. 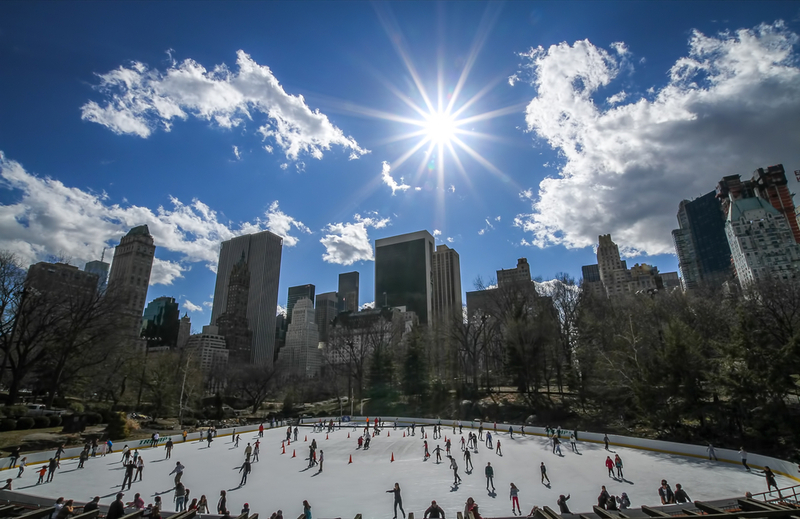 Nestled in Central Park among the frosty trees with the magnificent cityscape as the backdrop, Wollman Ice Rink is one of the best outdoor rinks in the city. The ice skating rink is located at the eastern end of the park near the Central Park Zoo. To reach the rink, enter Central Park at 59th and 6th Avenue or 59th and 5th. The rink offers skate rentals, ice hockey, a skating school, park facilities and lockers. Visit the park website for information about rink hours and ticket and rental prices. It’s not a holiday celebration in the city without the famous Rockefeller Center Christmas tree. From now until 8 p.m. on January 6, the 78-foot-tall spruce tree will be lit with thousands of sparkling LED lights. To visit the tree, head to Rockefeller Center located between 48th and 51st Streets and between 5th and 6th Avenues. Window shopping at its finest— during the holidays several shops along 5th Avenue feature beautiful holiday window displays. The displays are located at 5th Avenue between 39th and 60th Streets and will truly make you feel like you’re in a winter wonderland. Not far from Rockefeller Center is Radio City Music Hall, where you can continue to experience the magic of the holidays. The “Radio Music Hall Christmas Spectacular” has been performed by the Rockettes since the Great Depression, and the shows get better and better every single year. The show, featuring everything from wooden soldiers to candy canes, has several daily show times from now through January 3. Visit the official website to get your tickets. Check out these great events and enjoy the holidays!